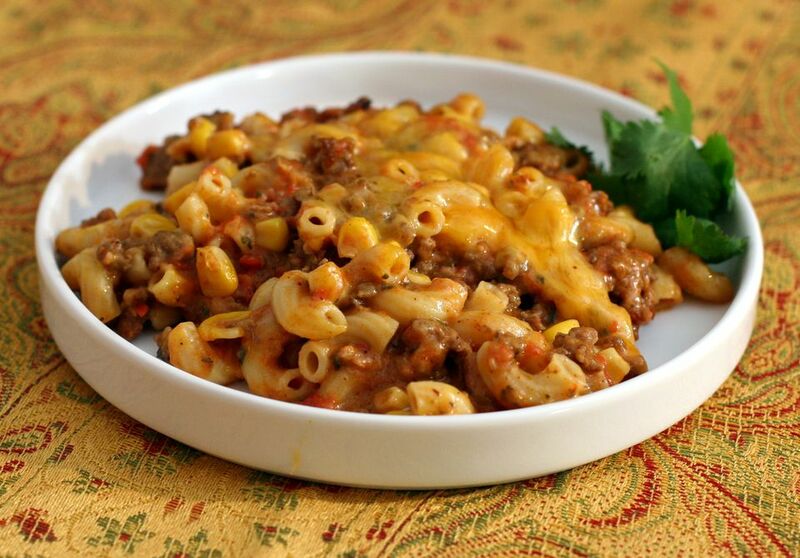 A delicious skillet macaroni and cheese with ground beef and tomato paste. A great one pot meal the whole family will love. Brown ground beef with salt and pepper in a large skillet. Add onion and green pepper; continue cooking until onion is tender. Add corn and tomatoes and tomato paste; heat through. Stir in prepared macaroni and cheese dinner; simmer for 8 to 10 minutes.